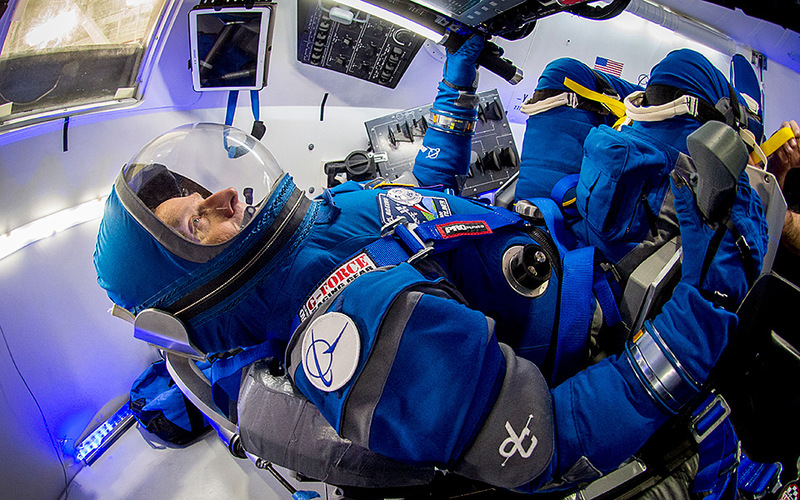 NASA's unveiled new spacesuit designed for the Boeing Starliner Spacecraft. It's lighter, simpler and has more modern features than it's predecessors; and it looks like it came straight from the Lego Movie. Everyone is familiar with the classic NASA launch and entry spacesuit. It’s big, its orange, and it makes astronauts look like babies in snowsuits. For the rest of us, who’ve watched at least one classroom presentation on them, we know that underneath that traffic cone exterior is one of the most sophisticated pressure suits in the world. Its layers are designed to protect the astronaut from cold and sudden pressure drops in the case of a catastrophic failure; its gloves are constructed so that the pilot can perform precise mechanical tasks with little to no resistance and it is the iconic symbol of hot shot pilots on risky missions to deep space. And, it’s getting a new look. Developed as part of the Boeing Starliner Spacecraft in tandem with NASA’s commercial crew program, the new spacesuit was unveiled last Wednesday, and it looks like it came straight out of the Lego Movie. The principle behind the new suit is that it is designed to be less complex than its predecessors which lead to the smaller and lighter design. “Complicated systems have more ways they can break, so simple is better on something like this.” Said astronaut Eric Boe. 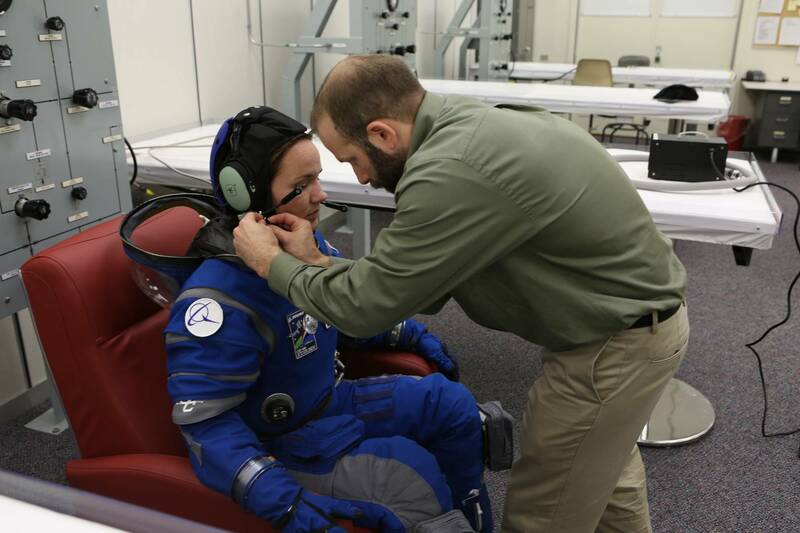 He and fellow astronauts Bob Behnken, Doug Hurley and Suni Williams will undergo flight tests in 2018 but have begun training for these tests with Boeing’s Starliner and SpaceX’s Crew Dragon systems. Just in case you think we could let an article about space travel pass without a reference to Elon Musk. The suit still maintains all the safety requirements and functionality of a traditional suit as well as some modern flourishes such as a helmet and visor that are directly incorporated in the suit, vents that allow for cooler temperatures but still allow for immediate pressurization, and touchscreen-sensitive gloves. This last feature gives us an idea of some of the features intended for the Starliner Spacecraft itself. Unless the pilots plan to play Candy Crush while flying at higher altitudes where it’s not illegal. Also, it is 20 pounds in weight, ten lighter than previous iterations of the launch-and-entry suits worn in the past, and the suit’s material allows water vapor to exit suit without losing air. Combined with the fact that each suit is tailor made for the pilot ensures a level of comfort that should surpass previous iterations. While the suit is effectively a backup in case of failure on the spacecraft–a reasonable one given the history of manned space flight—its new design is part of the overall initiative of Boeing’s Starliner to have trips to the International station occur more safely, and with greater frequency. By making it easier to travel to and from the station astronauts can perform research for deep-space explorations more frequently. From there, if the suit is any sign, the only limit of what’s truly possible is our imagination. Just the fact that the new suit is more SIMPLE, is a good thing. It might not sound that way, but as it was pointed out in the article, complex things tend to break easier. Being in a space suit and hearing about things that can break is just not something you are going to want to deal with. All of these features are good for a more modern suit. I like the fact that is looks less bulky and I am sure that those wearing them are going to feel the same way. Just being able to use a touchscreen from this decade while wearing gloves HAS to be a major improvement.